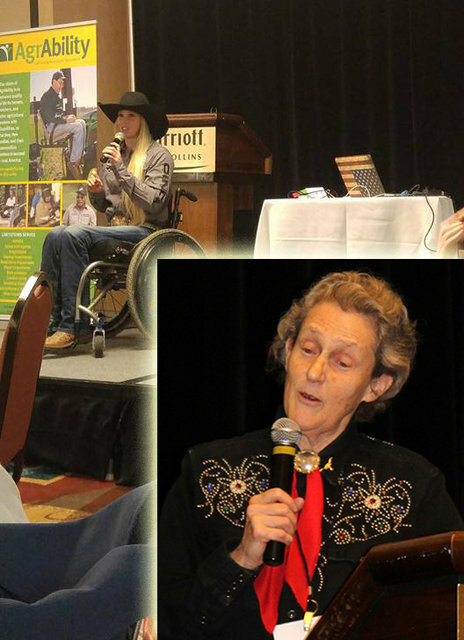 Be sure to keep up with AgrAbility's 25 Years, 25 Stories on the NAP's dedicated web page, our Facebook page, or our Twitter account. 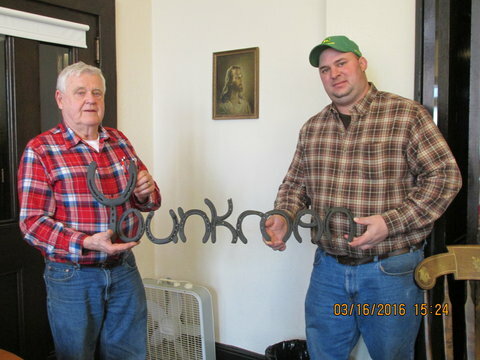 Our latest stories: John Hancock of Kentucky and Shea Rolnick of Maine. 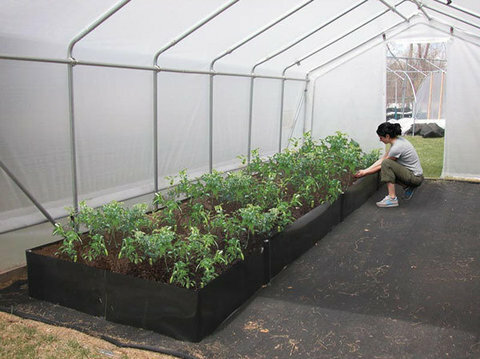 Toolbox Spotlight: As planting time arrives, a Fabric Raised Bed - with no need for a rigid frame - in the field or inside the greenhouse can increase yields, reduce weeds and other pests, improve soil condition, conserve water, and lengthen the growing season. In addition it can be reconfigured and relocated. 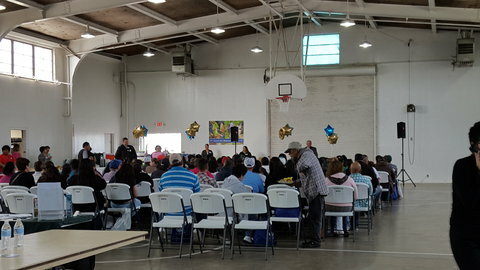 CalAgrAbility attended the Farmworker Appreciation Day in Delano, CA, on March 4.The staff was able to reach out to roughly 200 farmworkers and their families while enjoying a great fair established by the California Employment Development Department. 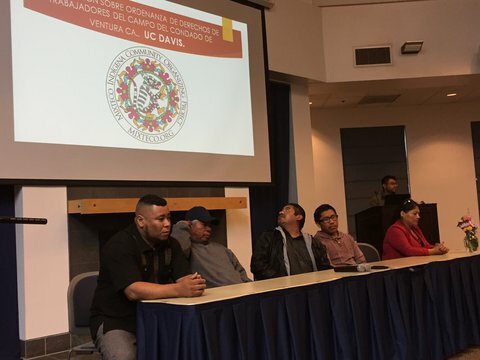 Staff members met with a representative of Latino Coalition for a Healthier California on March 8 in Sacramento, CA, to discuss diabetes and farming project and outreach. CalAgrAbility attended the Conferencia Para Promotores (Conference for Social Health Workers) on March 12. Staff attended the CET Resource Fair on March 15 in Salinas, CA. 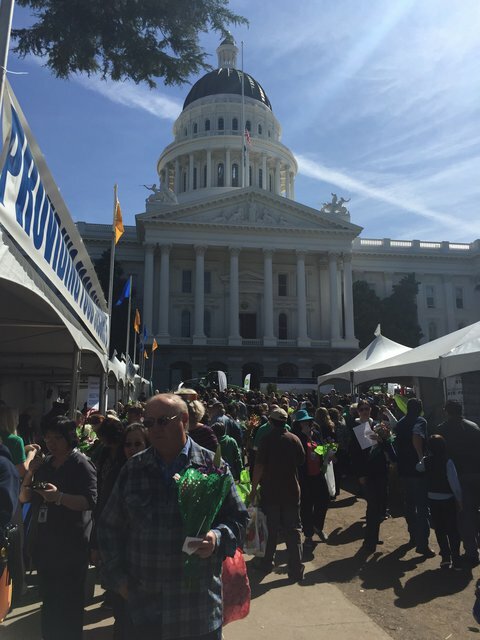 CalAgrAbility attended Ag Day at the California Capital: "Golden State on Your Plate", on March 16 in Sacramento, CA. Personnel attended the RISE Inc. Esparto Monthly Collaborative Meeting in Esparto, CA, on March 18. 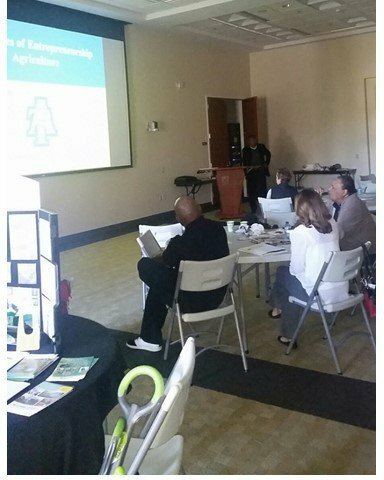 CalAgrAbility attended the AgriSafe Network Training titled Protecting Young Adults in the Agricultural Workforce on March 22. Staff attended the AgriSafe Network Training titled Don't Get Stuck! Preventing Needlestick Injuries in Agricultural Settings, on March 30. CalAgrAbility attended the webinar Los trabajadores de salud comunitarios pueden hacer una diferencia en ayudar a las personas a mantenerse seguros y saludables en el trabajo (Community Social Health Workers Can Make a Difference in Helping Others to Maintain Safety and Health on the Job) on March 30. CAP was asked to be one of the presenters at the Colorado Legislature Veterans Caucus on Agriculture Employment. Staff members attended and presented the facts to 102 persons at the caucus. The Eastern Colorado Health Care System of the Veteran's Health Administration asked CAP to assist in forming a VA Farmers Market at the Denver VA, Colorado Springs VA, Pueblo VA, and Grand Junction VA.
Kerri Ebert, Kansas AgrAbility coordinator, was awarded a Certificate of Appreciation from the Warrior Transition Battalion at Fort Riley for "sharing valuable lessons geared towards transition that have left a lasting impact on our Soldiers and greatly assisted in our unit's accomplishment of its mission." KY AgrAbility was pleased to go to Colorado for the National Training Workshop April 11-14. Third Thursday at KSU will be dealing with Water Quality, Conservation, and Sustainable Farming. Spring pruning at the research farm will include hands-on demonstrations. The new accessible garden beds are being put in and pathways developed beside the patio area at KSU. ISASH is being held this year in Lexington, KY. All AgrAbility partners are encouraged to attend. This event is scheduled on June 26th -30th. Registration is available on their web site. KY AgrAbility hopes to see many of you at events throughout the spring and summer. 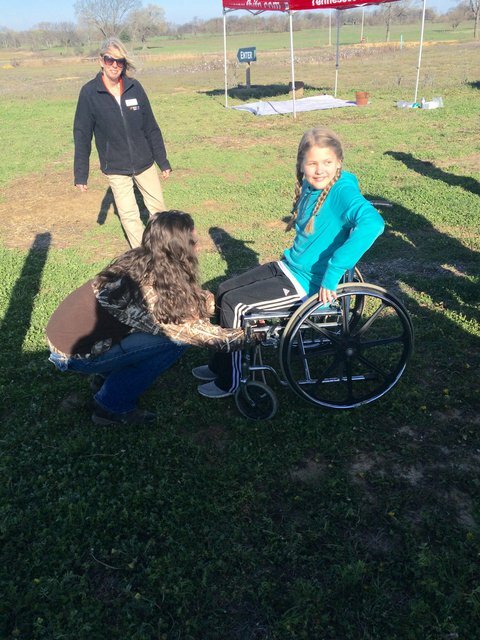 Kelly Osborn, the Goodwill project manager for AgrAbility, reached out to the Native American vocational rehabilitation (VR) program in March. Kelly's previous experience working for VR with the Native American population will help the Project increase its outreach and education efforts in Downeast and Northern Maine. Kelly Cochran, PharmD, BCPS, was invited to present a continuing education seminar for Missouri pharmacists about the Pharm to Farm and Missouri AgrAbility Project collaboration at the upcoming Missouri Pharmacy Association Annual Conference & Expo Sept 8-11, 2016. Partnership with PA Office of Vocational Rehabilitation (OVR) provided AgrAbility PA a summary of joint clients from 2004 - 2015. This is the first time that AgrAbility PA has received this type of summary from OVR. 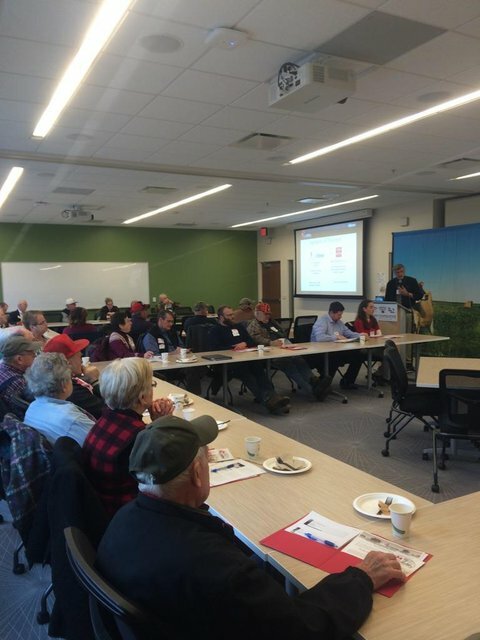 One highlight: AgrAbility PA clients experience a 90.5 % success rate with OVR. Cheers for this! TAP kept busy preparing and spreading the word with newspaper articles and PSAs for their first Farmer Veteran Workshop April 2nd in Clarksville, TN. TAP is pleased to announce that the Tennessee Department of Agriculture elected to promote the Homegrown by Heroes label separately but in harmony with their own "Buy Local" label. Tennessee AgrAbility presented at the Small Farm Outreach and Assistance Program Workshop in Memphis and at the Western and Central UT TSU directors meeting, exhibited at the East TN Grain Conference, the Cumberland Beef Day, and Tennessee Beef Agribition, and celebrated March Extension Month with several open houses. TAP participated in the Carroll County Safety Day for elementary students with a helmet safety demonstration and Gibson County Progressive Agriculture Safety Day for 6th graders with disability awareness hands-on activities. 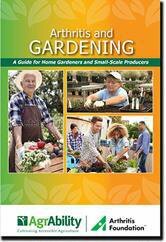 Staff participated in the Agrisafe Webinar "Protecting Young Adults in the Agricultural Workforce". 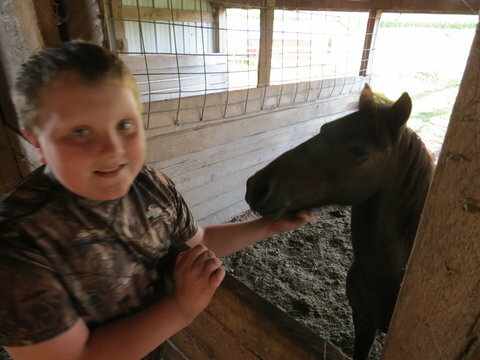 TAP is planning for several Farm Safety and Health Days this year. 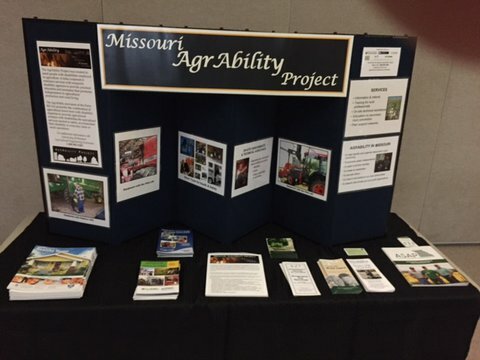 AgrAbility of Utah sponsored a booth at the Utah FFA State Convention March 10-12 in Richfield, Utah. The convention brought students from FFA chapters throughout the state for education and competition. AgrAbility staff also helped to judge some of the student speaking contests. Farmer Veteran Coalition Vermont continues to gain support. The executive committee and the general membership met for an all-day strategy planning session March 31, to be followed by a weekend retreat for all their veterans. 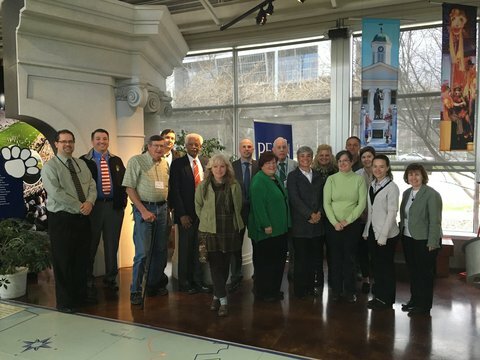 Melissa Stewart and Inetta Fluharty represented West Virginia AgrAbility on the National Training Workshop planning committee. 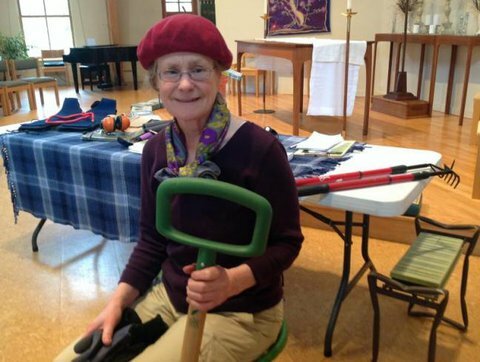 Sharry Nielsen retired, effective March 11, from Nebraska Extension after 37 years. 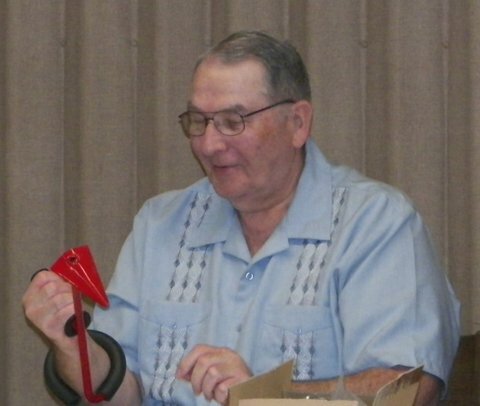 Sharry has been part of the Nebraska AgrAbility team for many years and will be greatly missed. We wish her the best in this new phase of her life. Nebraska hired a new part time rural rehabilitation specialist in March. Please welcome Shelbi Rivera srivera@ne.easterseals.com to the Nebraska AgrAbility team. Shelbi will be working out of Norfolk, NE, on an as-needed basis and is a recent graduate of Dodge City Community College with a major in agriculture. Nebraska also welcomes Aaron Yoder aaron.yoder@unmc.edu to the program team. Aaron is an Assistant Professor at the University of Nebraska Medical Center in Omaha. Welcome to Mary Thom Adams who became the new director at TN AgrAbility's nonprofit disability partner, East Tennessee Technology Access Center. "What I bring to the table is that I am an administrator. I know how to raise money and that is where I can make an impact!" AgrAbility of Wisconsin's outreach specialist, Hannah Barthels, has accepted a position closer to home and family. The staff at AgrAbility wish Hannah the best of luck and are very grateful for all of her hard work and dedication these past few years. She will be greatly missed! Good Luck Hannah! A soup kitchen disguised as a restaurant is making a big difference in Kansas City.